Here at Tiger, we’re incredibly proud of our wide range of handling equipment; including our display pallet lifter. 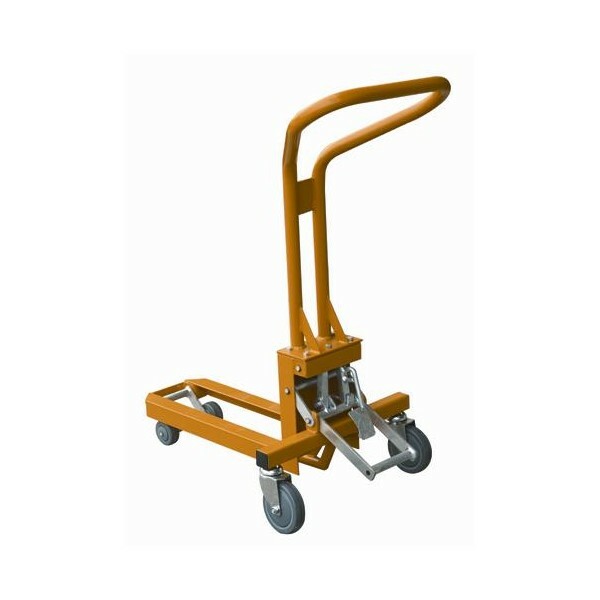 The main aim of the pallet lifter is to bring pallet lifting to the forefront of stores where the larger pallet truck may prove to be a hindrance or unsuitable, due to its bulkiness. The mobility of the pallet lifter is provided through the four rubber castors. The front two are fixed, however the rear two nearest to the operator are fully rotational creating a large arc of movement. Here at Tiger, we only offer one model of display pallet lifter, however, due to its adaptability we are confident that this will be able to fulfil all of your requirements.